What in the world is a Bitcoin? The bitcoin mania is upon us. At the beginning of 2017, a single bitcoin cost $998.33. On December 31, 2017 that same bitcoin was worth $14,156.40, a more than 1,318% return (the price actually peaked at $20,089 on Dec. 17th so this is after a 30% correction). It is estimated that there have been hundreds of new millionaires (mostly millennials) from various cryptocurrencies. The Winklevoss twins (who famously sued Mark Zuckerberg after claiming he stole their idea for Facebook) became the first bitcoin billionaires in November. The CBOE and CME began offering bitcoin futures contracts in December. People keep using buzzwords that sound intelligent like blockchain, and mining and Ethereum. The government is trying to figure out how to regulate it, and the IRS how to tax it. Some people believe that either the coin itself or the underlying technology will change the world forever, while others think this it is an over-hyped flash in the pan. 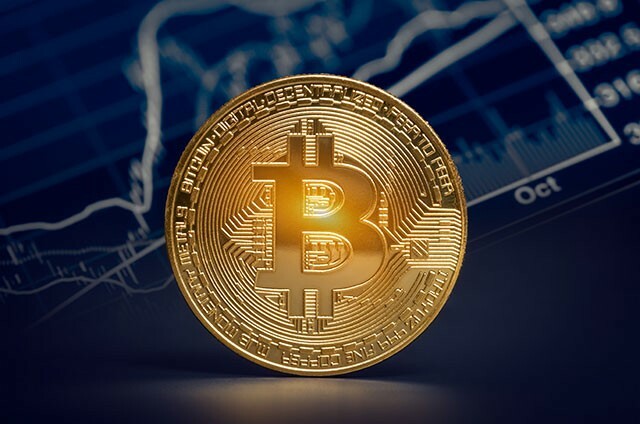 In this WJNotes, we’re going to explain some of the basic concepts of a decentralized currency like bitcoin, and its prospects as an investment. Bitcoin is a new digital currency that was created in 2009 by an unknown person using the alias Satoshi Nakamoto. The currency was created in response to the Financial Crisis in 2008, as people’s confidence in the banks was shaken. The primary feature of bitcoin, or any cryptoasset for that matter, is that it is completely decentralized. What that means is there is no government, bank, or other organization that controls it. It is maintained by the users themselves. Decentralization is the key underpinning of cryptoassets. This simply means that you do not have to trust or rely on any central authority for a service. Examples of centralization include relying on governments to make good on the promises that they have made to their citizens. You rely on various market exchanges to effectively process trades, provide liquidity, and to some degree stabilize markets. You rely on various cloud storage companies to store your information on its servers and protect it. The benefit of centralization is that you have a single “expert” serving a role in your life, and they are usually able to do a good job. One of the primary negatives of centralization are that when these authorities make mistakes, it can be catastrophic. The other is that these central figures are given immense power, and may be tempted to abuse it. This can include banks getting careless with your money, governments turning on its people, and internet providers censoring what you can and can not look at. These are the issues that have led to the creation of these various cryptoassets. A buzz word you will constantly hear when talking about these cryptoassets is the blockchain. The blockchain is simply the technology platform on which these assets lie. It is a distributed ledger of every transaction ever made, that is broadcasted publicly for everyone to see. It has an incentive structure that pays people (miners they are called) on the network to maintain its accuracy, which makes it very difficult to be altered. Keep in mind, this is not limited to just financial transactions, but virtually anything of value. A currency is just one application of the blockchain. With this technology, you can create a market of anything that is completely devoid of any central figure that you must entrust with its maintenance. So how would assets like these fit into a portfolio? How much should they be worth? These are extremely difficult questions to answer and it will vary significantly depending on who you ask. You may read about various tech experts who believe that bitcoin could be worth $1,000,000 at some point. At that price, bitcoin would exceed the total value of gold, and some believe it should. For every one of those tech experts you will find 10 financial experts who think this is a bubble, and that the true price should be near $0. Reasons include the belief that governments would never allow bitcoin to become the norm (they can’t tax it), people will never fully adopt it, there are too many problems with the design, and a better competing currency will come about. Taking either side of that bet is pure speculation. Let’s say you are a blockchain believer, and believe the technology will change the world. Which coin do you use? Bitcoin is one out of over 1000 cryptoassets and there are more coming. Some are made by people with good intentions to fulfill a valuable service, some are made to exploit the hype and get rich quick. Public companies are adding words like “crypto” or “blockchain” in their name and seeing their stock go up 100s of percent the next day. This is eerily similar to companies adding “.com” to their name and seeing the value spike during the internet/tech bubble. The point is, even if you are right on the technology, you better also be right in choosing a coin. There were thousands of internet companies that went belly up during the internet/tech bubble, and likely we see the same happen in the crypto world. Our final point, bitcoin and all cryptoassets are not investments. An investment implies buying something that will provide a future stream of cash flows. Essentially, you give up the opportunity to use your money to consume something today for the opportunity to consume more in the future (i.e. you will receive cash flows while you invest and your principal back when you sell.) When you buy a bond, for example, you expect to receive your principal back in the future along with interest payments. With some simple math, one can compare the price paid to the future cash flows and determine the expected return of the investment. Of course, because not everyone agrees on future cash flows the prices on publicly traded investments can sometimes fluctuate wildly. Bitcoin is different. There are no future cash flows. There is only one way you will make money on your Bitcoin investment. You must find someone else to buy it from you at a higher price, sometimes referred to the “Greater Fool Theory.” We do not want to dismiss this type of investing completely. Gold for example generates no future cash flows. It just sits there looking pretty. It has been a reasonable investment during certain time periods, but unlike cryptoassets, gold has been around forever and its supply is limited. At WJ Interests we evaluate, buy and sell investments for clients. We avoid unproven, speculative opportunities. Please contact us if you would like to discuss our investment philosophy.